I love pastries! 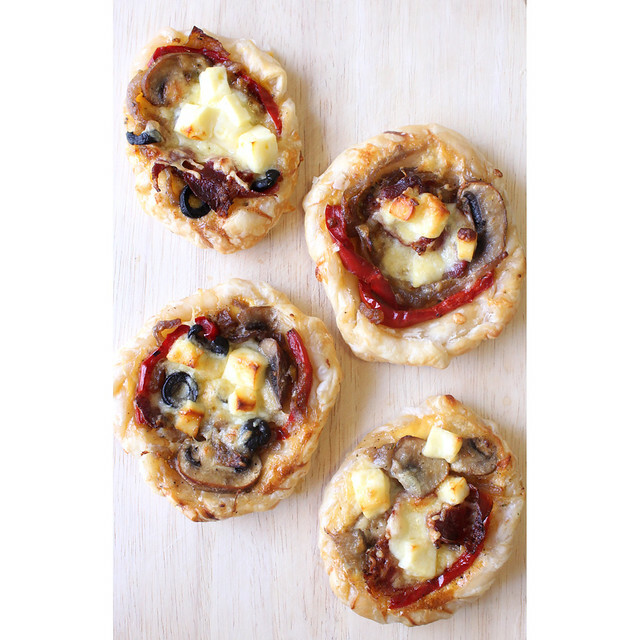 Sweet or savoury, I’ll happily scoffed them all! I made these pastries for a brunch a few weeks ago. I’m very fussy with it comes to breakfast so I decided not to follow a recipe, and just simply whip up something that I would enjoy. I love caramelised onions and haloomi cheese. These 2 are the main ingredients I love and I could just eat them on their own! 4. Cut 1 sheet of pastry into 4 square. Gently roll the edges to form a shallow pit for the ingredients to sit in. Then add the sauteed onions/capsicum/mushrooms around the edges. In the middle, put about 1-2 tablespoons of mince. Top it off with some olives and cheese and finally drizzle the egg over. 5. Bake for 20-30mins until pastry is golden and puffed. I hardly ever cook rendang, especially beef rendang. Why? Because it takes hours and hours to cook this delicate aromatic dish. In Malaysia, we call this ‘Rendang Tok’ which means Granny Rendang, sure enough, this recipe originated from my cousins grandmother, God bless her! 1. Marinate beef with a bit of salt and ginger & garlic paste. Stand for an hour. 2. Put oil and add blended ingredients, fry until fragrant and you see the oil separates. Should take about 7-10 mins. 3. Add the spices (coriander,cummin, fennel, turmeric and curry powder then fry again until oil separates. Another 7 mins. 4. Put the beef and then cook covered on low heat. Stir regularly every 20 mins to make sure it doesn’t burn. 5. Add the kaffir lime leaves, tamarind, coconut cream, kerisik (shredded coconut) and season generously with salt, pepper and sugar. 6. Cook until it dries out and the colour has darkened. Cooking time should be at least 3 hours. 7. Serve with warm steam rice. 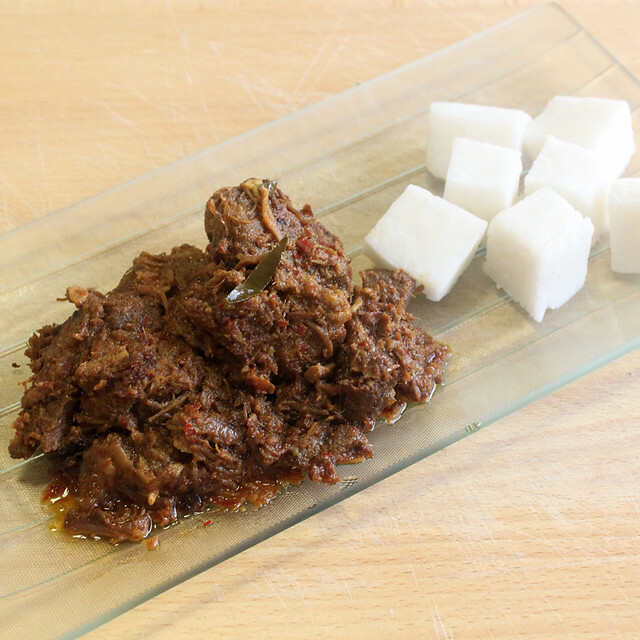 Note: Rendang is best made a day in advance! Tastes really good the day after! I love a quick and easy stir fry for a mid week dinner! Being at work-at-home-mum to a mother of 2 under 3, leaves me very little time for everything else. You might plan ahead what you had in mind for dinner, but things happen and now you’re left with under an hour to prepare dinner? 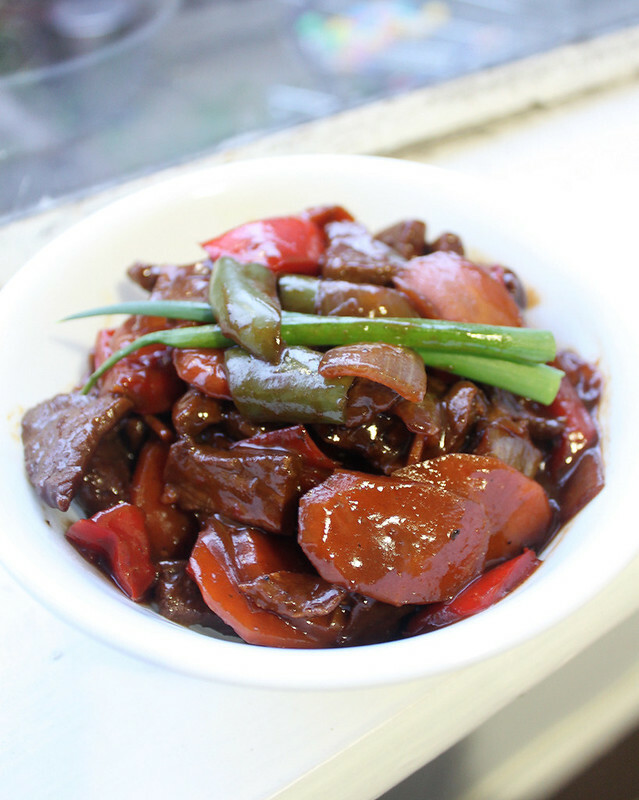 Just put on a pot of rice and make this simply beef black pepper stir fry. All done in about 30 minutes! 2. Heat oil in a wok over high heat. Stir-fry the beef until the beef has just turned brown, then add the garlic and ginger. Stir fry until aromatic. 4. Transfer the beef back into the wok or skillet. Stir-fry until the beef is cooked through and the center of the meat is no longer pink, about 1-2 minutes. Dish out and serve immediately with steamed rice. 5. Serve immediately with warm rice. 1. Heat olive oil and saute onions and garlic in a medium pot. 2. Add mince beef and stir until evenly brown until lumps are broken. 3. Add carrots, stock/water, mushrooms, oregano, tomato paste and canned tomatoes. Stir for a bit and bring to a boil. Then simmer for 45 minutes until liquid has greatly reduced. 3. Add salt and pepper and stir. 4. Boil spaghetti with a bit of oil and salt, then drain under cold running water. 5. 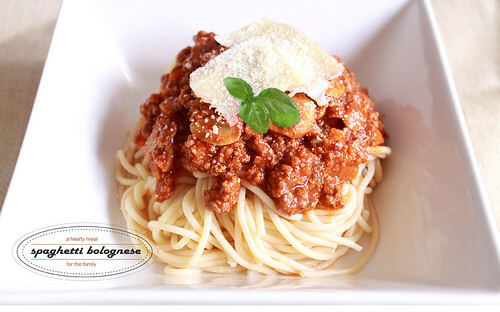 Serve immediately with hot bolognese sauce topped with cheese.